Finished Lady Almina and the Real Downton Abbey: The Lost Legacy of Highclere Castle. My take here. Finished The One and Only Ivan, book #70 for the year. Terrific and charming, perfect for animal lovers of all ages. Passing it along to Kyra now. Pretty sure it will make her cry–not that it made me cry or anything. Fabulous 2009 Deb Kirstin Cronn-Mills has a new release out this past week (October 8th). 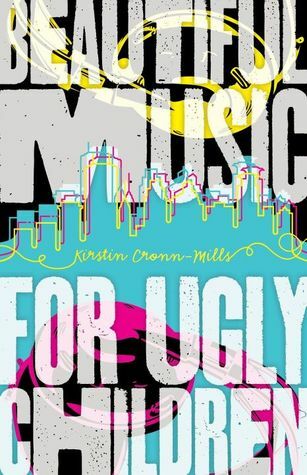 Beautiful Music for Ugly Children is available in paperback and on Kindle. Or should that be an old (new) release? I’m not sure, but hang on and I’ll tell you why. A few months ago, I received the rights back to my short story The Trouble with Firsts that appeared in the 2009 Debs e-anthology The First Time (per the contract). I didn’t think much of it until I remembered that I had another YA short story that didn’t currently have a home. What if I used those two stories to walk through the process of publishing something online at Amazon and Barnes and Noble? It was surprisingly fun along with being educational. My goal isn’t to earn a lot of money with these stories–or even much at all–but to learn how the process works. And it is also a low risk way to have some of my writing available to new readers as well. A 99-cent short story sampler versus $8.99 for Geek Girl? Some readers might want to go with the 99 cents to start. It’s nice I can give them that option. The Trouble with Firsts: a story about first dates, prom, and humiliation–not necessarily in that order. Speechless: a story about not speaking up–and what happens when you finally do. First published online as part of the launch for The Geek Girl’s Guide to Cheerleading. I’m over at Jennifer Hubbard’s blog, waxing nostalgic about the Betsy-Tacy books by Maud Hart Lovelace. Jennifer is a 2009 Deb and the author of The Secret Year and Try Not to Breathe. Another good review and 99 cents too! Hey, what do you know? There’s another nice review of e-anthology The First Time, over at Eli to the nth. And … I’m not just saying that because she liked The Trouble with Firsts (but she did). Over at Long and Short Reviews, in the YA/Middle Grade section, there’s a terrific review of the 2009 Debs e-anthology The First Time. 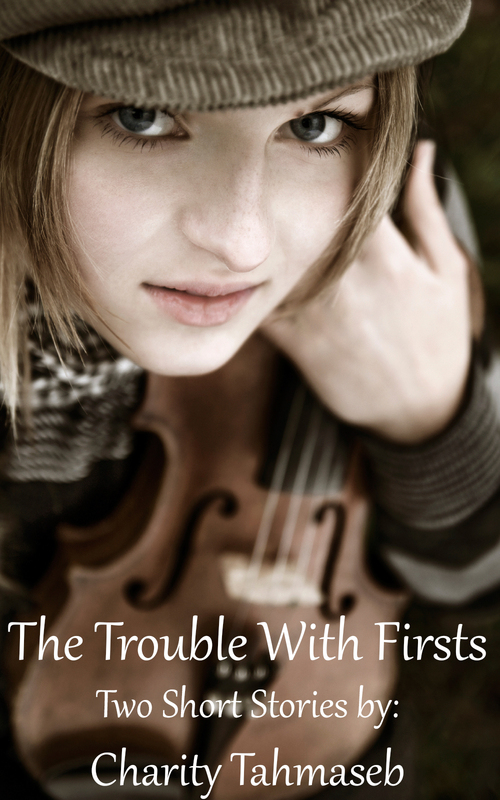 And I’m not just saying that because the reviewer said some very nice things about my story, The Trouble With Firsts. (Although she did. Click through to read.) But she went above and beyond the call of reviewing. This is one thoughtful and comprehensive review, which touches on nearly all the stories included in the anthology. Considering there are twenty five stories in the anthology, that’s no small feat. All in all, not a bad way to start the morning and the work week. Thanks to Long and Short Reviews and reviewer Honeysuckle. So. 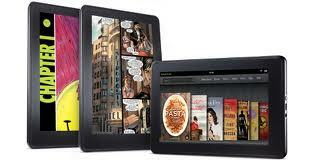 Do I love my Kindle Fire? Yes, yes I do. I wasn’t sure I was going to like the back-lit e-reader vs. e-ink, but so far I think I’ve actually been reading more, not less. Of course, being able to adjust the brightness helps. And … check out the book between Pasta and Tina Fey. Could it be Juliet Immortal by Stacey Jay? Why, yes. I think it is. See, even the 2009 Debs are on fire.